One of the reasons why we plan events is to create as much buzz about our brand as possible. We expect our attendees to talk and share their experiences, while reinforcing the online identity of our event. That’s why whenever we plan something new - be it a conference or a concert - we eagerly search for attractive hashtags and social media contests. We know that by sharing their opinions on social media, attendees have the extraordinary capacity to extend the reach of the event and, most probably, ensure a greater attendance rate at the next edition. As author and entrepreneur Kevin Van der Straeten highlights, “During the event, you can use the social media to facilitate your interaction with your public or to keep the outside world informed about what is happening.” Apart from that, having a larger online presence is extremely positive for your relationship with event sponsors. Although you might be more used to Facebook and Twitter as promotion platforms, Instagram is actually the perfect medium to show off the great time your attendees had. Instagram’s focus on visual elements (photos and videos) can really help boost interest in your event. However, most attendees won’t take pictures and post them on Instagram just like that. If you want to encourage them to document your event and post the images on Instagram, you must consider a series of elements. “Weird word,” you might think, and you’d be right. However, this concept is defining those elements that “look good” for Instagram. Related to Instagram aesthetics, this term agglutinates all the “hipster,” “trendy,” and “fancy” subjects that will increase a picture’s attractiveness (and views and likes). In other words, most people won’t take photos of something that is visually unappealing. Most diehard Instagrammers are usually trying to “sell” a lifestyle, so they are interested in presenting the most enchanting bits of their surroundings. Knowing that, you can take good advantage of the venue and set up a series of “Instagrammable” corners. For example, you could make use of appealing decorations for the lounge area or hipster café-like furniture for the networking space. If you’re not sure how to properly decorate the venue to make it Instagram-worthy, you can always ask a professional interior designer for some advice. You may have already heard about the infamous Millennial Pink. Check it out on Google if you don’t know how this nuance actually looks. It may not seem like a big deal, yet people on Instagram are crazy about this type of pink. We can’t be sure how long Millennial Pink will trend on Instagram; however, you can use it to your advantage for the time being and install a Millennial Pink photo backdrop for your event. You’ll be surprised how many people will stop by to take pictures or selfies. Why not award the attendee who takes the best picture of the event? You can set up a small judging panel to decide the winner. If you do so, make sure to prepare a nice bag with goodies or an “Instagrammable” prize for the lucky winner. Open your Instagram account and check out the #foodporn hashtag. Take your time. Incredible, isn’t it? Yes, people are obsessed with taking food pictures, meaning … another Instagram tip for your event. Talk to the catering providers and agree upon the visual aspect of the food. You can always go for small canapés in particular shapes … and don’t forget about the avocado toast that people are so obsessed with these days! Is there anything people love more than selfies? Yes... selfies with celebrities! 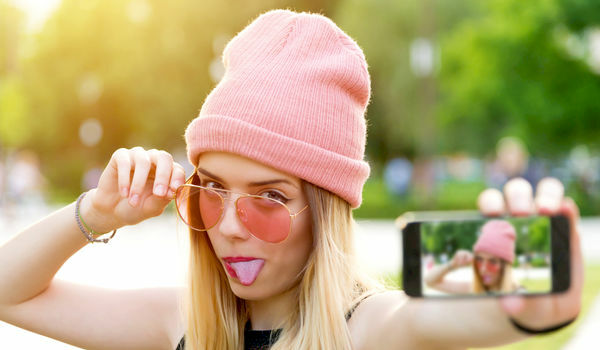 To increase the number of Instagram photos during your event, invite a few renowned influencers who’ll agree to take selfies with the attendees. This will guarantee a spike of Instagram posts that will proudly display your event’s hashtag! Make the most of Instagram. Take good advantage of your attendees’ drive to take pictures. Encourage them to publish event pictures on Instagram by preparing as many aesthetic elements as possible. Experiment and be aware of what will work. Turn your attendees’ experience into “Instagrammable” moments and watch the popularity of your event hashtag soar. Caution! Make sure you always have permission from the people involved before taking photos and distributing them.